This one took my a long time to finish. The plot and characters are interesting, it was just the pacing that threw me off. There's such a sense of urgency because the MC only has a 10-day leave to figure out this mystery, but at times it feels like the characters and conversations go in circles. That said, I enjoyed the characters, the mystery, and the setting. It wasn't what I expected when I started in on the book -- a lot more supernatural elements than I thought there would be, but that's not a bad thing. I’ll start off by saying that anyone with any kind of squicks about food should use caution when reading this book. A lot of emphasis is put into describing foods and eating and I know it can be a sensitive subject for some. 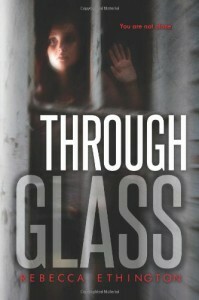 Through Glass by Rebecca Ethington has its flaws but is a solid piece of dystopia/invasion YA fiction. The mythology it offers is muddied at times, but refreshing in a genre that’s becoming over populated. 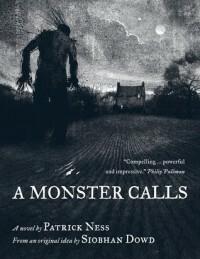 Action scenes are often bogged down by redundant writing and the practicality of a half-starved protagonist being able to fight off horrific and deadly monsters made me take pause, but if you can suspend belief, then it’s a good read. A twist about 3/4ths of the way through really did take me by surprise, which is the first time I’ve had that happen in a while. I’ve put off writing this review for a couple months because it’s difficult for me to pin down my feelings. 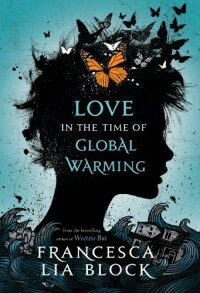 I like this book -- it’s different, not like some of the other YA I’ve read lately in the same genre. The enemy is interesting and I genuinely want to know more about them, to figure out the mystery. The main characters are likable -- I didn’t fall in love with them, but they didn’t drive me crazy like others have. There are parts that are truly creepy too, and turns that I really wasn’t expecting. All these things add up to something refreshing. Combine that with action scenes that seem to loop back around on themselves, the book can be difficult to follow at times. About halfway through, I found myself skipping and skimming the fight scenes so I could just get on with the book. The only other problem I had was with the idea that the MC is so weak from near-starvation that she can’t hold up a water bottle to fill it, but can suddenly fight off monsters all by herself. I can understand why this happens (for the sake of the plot), but it still doesn’t sit quite right for me. So, I like this book, but it has issues. It makes me go, ‘meh’ in a way that’s not bad, but not great either. 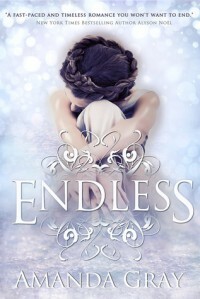 First, let me say that I received a copy of Endless by Amanda Gray from NetGalley and I’d like to thank those involved for giving me a chance to read and review this book. Endless has an appealing plot and likable characters, but there’s so much going on in this book that it starts to feel crowded. Though a bit redundant at times, the writing is solid. It’s a refreshing spin on YA paranormal romance, though it’s not completely free from tropes that litter the genre. If you have an interest in Russian history and past lives, this might be a good read for you. I really wanted to like this book more than I did. The idea of a character being able to touch a person and see their past lives sounded amazing, but these powers barely even come up throughout the text. Exploration of these powers alone could have made the book, but instead we get bullies, a dead mother with dark secrets, not one but two Mysterious Boys from her past life, a magical music box that lets you regress through past lives, a stalker cult, an abusive father subplot, unresolved issues from past lives, time travel, parallel timelines, ley lines with barely any explanation of what they are (I’m lucky to have heard about them before this book), and the main character happens to be the reincarnation of a Russian princess. There’s so much going on in this book that I actually forgot she had any sort of powers. The writing is solid, though there are some scenes and conversations that go around in circles and could have easily been cut. The first few chapters are amazing, building tension and creating a mystery that is truly intriguing, though that aura doesn’t carry throughout the whole book. The scene depicting the Romanov assassinations is amazingly done and haunting. The book is very self-aware, too. It knows the tropes found in YA paranormal romances these days, mainly love triangles, insta-love, and helpless women. At points, these tropes are addressed directly with comments of the main character not believing in love at first sight until now and how she’s not a “…helpless-female-who’s-nobody-without-you” (location 3730). At the same time, she’s utterly useless by the end of the book at the thought of separation from her lover and repeatedly it’s said that she belongs to her love interest, owned by him. To be fair, however, she’s definitely not as helpless as other YA heroines can be -- she takes initiative to figure out the mystery and she does help save her love interest. Perhaps the main major issue I have with the book is actually something very small within the context of the piece. It comes up rather casually that people who have suffered traumas/traumatic deaths in a previous life suffer from things like anxiety, depression, and generally you’re not “exactly the happiest, most well-adjusted person on the planet” (location 5703). That bothers me for reasons I can’t exactly put into words. I don’t think it’s the idea that past life trauma begets mental issues, but that it so casually whitewashed over every single instance of mental disorders. 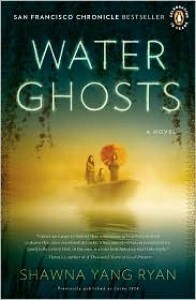 Generally, the book has flaws, but the writing is solid and hints of something great, it just doesn’t reach it quite yet. I had to read this book for a class on the American Gothic, and I am so glad I did. This is truly an amazing work, unlike anything I've read before. Stylistically it is as jarring as the three boat women -- there are no quotation marks, leading to a lyrical sort of reading with multiple interpretations. The mixing of cultures and traditions leads to a unique setting during a difficult time in American history. The world-building has its flaws sure, but I was able to put them aside to actually find it rather interesting. Yes, the convoluted, nonsensical dystopia of future Chicago was perhaps my favorite part of this book. The characters were unappealing to me. Tris, the heroine, is the typical waif of ULTIMATE POWER, which isn't inherently a bad thing. She just happens to be unforgivably annoying. Four is the mysterious bad boy (who's really not all that mysterious) that gives her feels she's never feeled before. All the friends she makes throughout the book? They don't matter anyway. As evident that Tris just up and leaves them at the end of the book while she brings along two of the more monstrous characters in the story. My favorite character is Tori, who appears in about five scenes. Let's talk about Al for a moment. I loved Al. He was the big oaf who just wanted to help and protect people. He was scared shitless by the initiation and the thought of being factionless (which apparently is a bad thing? That was never convincingly depicted). He didn't want to fight or to hurt people. So it was strange and out of character that he would team up with bullies to scare/hurt/kill Tris -- the girl he had a huge crush on. He then begs for her forgiveness, which she refuses to give. Then he kills himself, after which Tris completely destroys his memory, calls him a coward, and generally pisses on his grave. Sure, I probably wouldn't have much sympathy towards a guy who attacked me, but I'm completely mystified as to the point of Al's existence in this book. I can find no plausible reason for his inclusion in the story and I'm forced to make the assumption that: 1. He was there for Tris to go, Oh well at least someone thinks I'm pretty, too bad it's him, and 2. The author wrote herself into a corner, knowing that she wanted Tris to be with Four but having no plausible reason for Tris to reject Al, so she decided to break his character completely. Violence in The Hunger Games is there to show the horrors of war, cruelty the Capital, and exactly how far society has fallen. Violence in Divergent is used in the same way explosions are used in Michael Bay movies: To look cool, or more directly, to make the main character look cool. After only a couple months, Tris has become proficient enough to take out several enemies at once and hit a moving target in the head. More importantly, there are no consequences to the killing, no feeling behind the experience of taking a human life like there is for Katniss. 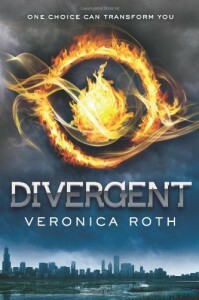 Though I will say my copy had a couple chapters from the next book and it's good to see at least one of the unnecessary deaths haunts Tris in a believable way. Death carries no weight either. The death of a random Dauntless initiate near the beginning of the book seems to have more impact on Tris than the deaths of people close to her most notably the death of her parents. Her father is nearly forgotten when her boyfriend is in the room. Katniss, on the other hand, is haunted by every single death she experiences, even of people who tried to kill her. All this being said, I'd be willing to pick up a couple of the next book, Insurgent at the library to see how the whole thing plays out. The ending is almost completely rushed, skipping over what I believe could be one of the more interesting parts of the story. 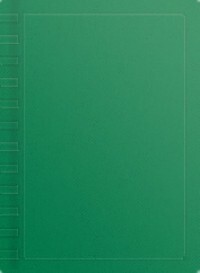 So I will give the author that, that she's got me interested in seeing where it goes. However, I would not pay to read that story.